Goblet Winery started out as a hobby. As a passion. And then it became a dream fulfilled. First, it was a little carboy, then three carboys, then one barrel, and now, it is a proper winery. After 16 successful harvests at different wineries under our belts, we have come a long way. We pride ourselves in quality. 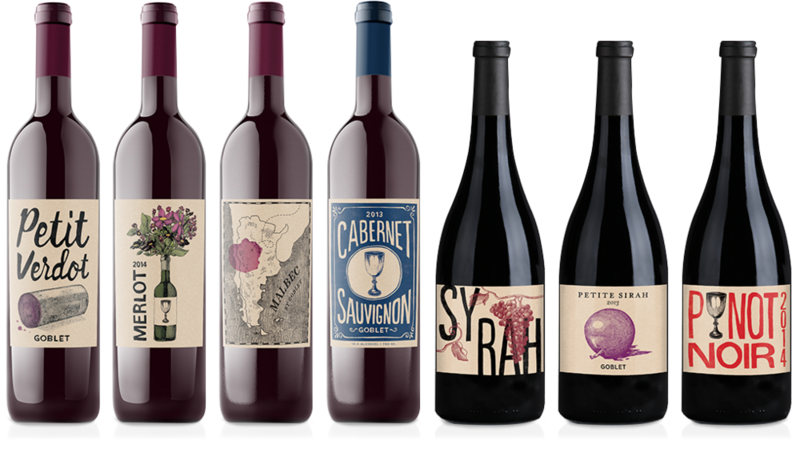 Quality grapes, sourced from the best wine growing locations, like Oregon, Argentina, California.... And of course, quality winemaking, quality bottles, and quality labels. Our goal is to make the best Kosher wine out there for you to enjoy! Our homey, boutique winery has only 40 barrels of wine, but it is 40 barrels of exceptional wine! At Goblet, we offer tours and barrel tastings at our facilities. Choose what wine you want to buy while it is still in the barrels! Design your own labels, or use ours! If you enjoy wine, we would love to shmooze!